THIS PROMOTION HAS ENDED. Another great success! 11 readers took advantage and I'll be getting pictures of all three knobs! Please check back next week for the final Free Hardware Friday of the year. We close down for about two weeks over the holiday and will restart the promotion the first Friday of the new year. Now imagine that product page with no photos! 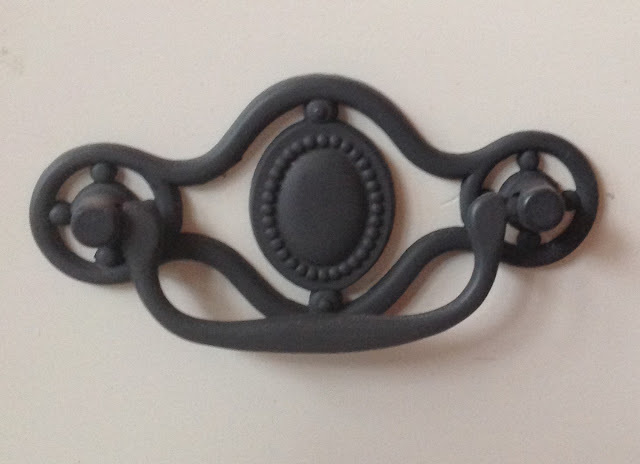 So I am very happy to continue the promotion with three different styles and shades of pewter cabinet knobs. To participate all you need to do is contact me at lawlesshardware (at) gmail (dot) com. In your e-mail simply include how many of which knob you need and promise me you will send pictures of the product in use once you have them installed. That's all there is to it! Since we started over 50 people have taken advantage of this deal, so it's legit!! 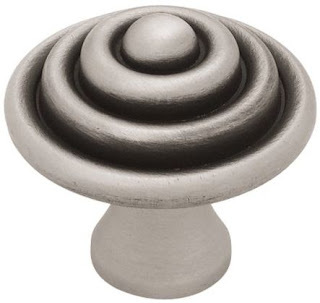 The first knob is this brushed pewter concentric knob with a 1 1/2" diameter. 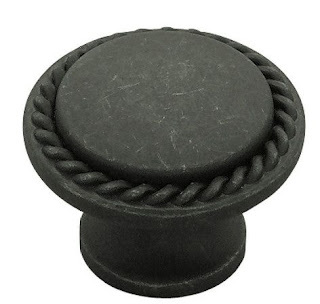 Then this dark pewter rope edge knob with a 1 3/16" diameter. 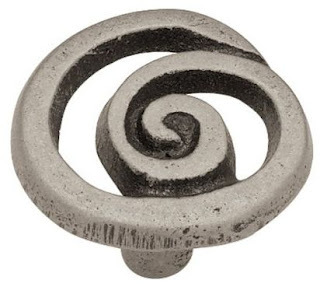 And finally this rustic swirl knob with a 1 3/8" diameter. Take your pick and contact me today! interesting...I just posted your company on my board on Pinterest, labeled "supplies"
Good luck with your creative marketing.